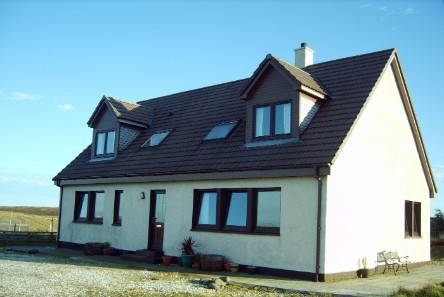 Ceud Mile Failte....... A warm Highland welcome awaits you at Hallaig Bed and Breakfast in Staffin, on the the picturesque North West Coast of the Isle of Skye. Staffin is an ideal base for walking holiday on the Isle of Skye as it allows easy access to the well known walking areas of the Trotternish Ridge, the Old Man of Storr and the Quiraing. Staffin is also the perfect location for anglers as there is an abundance of lochs in the area and a permit is easily arranged. Portree, the capital town on Skye, is just 18 miles to the south, with a wide variety of things to do for all the family. 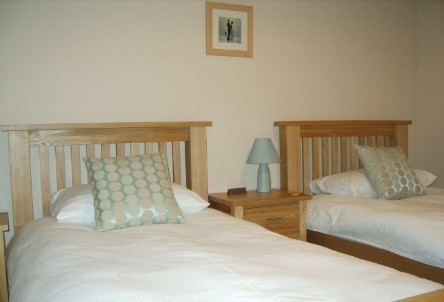 Come and stay with us all year round in our tastefully decorated, newly refurbished rooms, with optional evening meals, at Hallaig Bed and Breakfast. 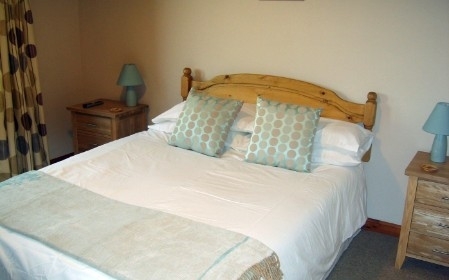 All rooms are en-suite, with Sky TV and hospitality trays with homemade shortbread. Hairdryers, laundry facilities and an iron are available. Ample off-road parking. We warmly welcome children and have everything that you will need for your stay with us - please let us know what you require when you book. Our full Highland breakfast includes local eggs, Isle of Skye sausages and Stornoway Black Pudding. A vegetarian option is always available. 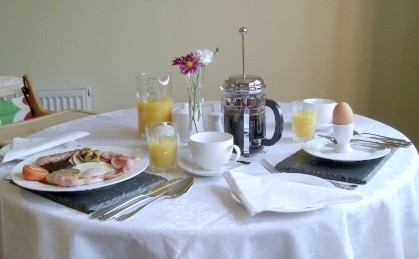 Homemade yoghurt, along with continental breakfast options are served and traditional oatmeal porridge is prepared daily and served with honey and cream. Home cooked evening meals are available at Hallaig, please ask us for details when you book - a sample menu can be provided. Homemade bread and oatcakes are a speciality. We are happy to make up packed lunches, please ask us.